Arapahoe Basin Opens Oct 13th! Tomorrow! 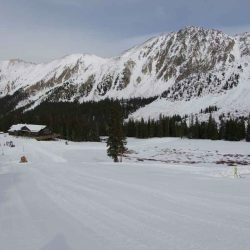 Arapahoe Basin’s CEO Al has stated that they’re getting close to decision time as they are now moving snow around with the snowcats. Someone also got a great photo of A-Basin that you can check out on Al’s blog here.